Photo: Half man, half amazing | this is the illiad! My brother’s looking to get nice with the graphics. Here’s a little something he did with me in mind. 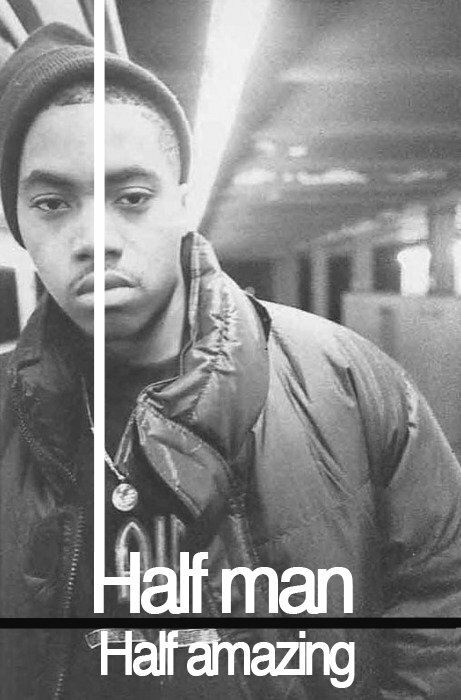 This entry was posted in Hip-hop, Music, Nostalgia and tagged Nas, Nasir Jones. Bookmark the permalink.